A cable release is an attachment that screws into a socket on a shutter release, allowing you to trip the shutter mechanically while being isolated from the camera - to reduce camera shake or to operate the camera from a distance. 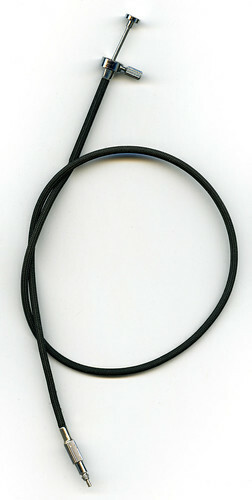 A cable release is especially useful for long exposures with the camera mounted on a tripod. Most cable releases consist of a Bowden cable: a flexible tube made from a spiral of metal wire covered in rubber or plastic, sometimes with a fabric outer sleeve. A steel cable runs through the tube, from a press-button at one end to a piston to press the release at the camera end. Some have an additional lock, to hold the shutter open for long time exposures. An alternative remote shutter release is the pneumatic squeeze bulb—useful when the shutter must be released from a very great distance, where the internal friction of a cable-style release would be too high. The cable release has largely been replaced by electronic remote releases, which are more suited to electronic cameras, commonly operated wirelessly and communicating using infra-red light. This page was last edited on 6 September 2011, at 16:59.